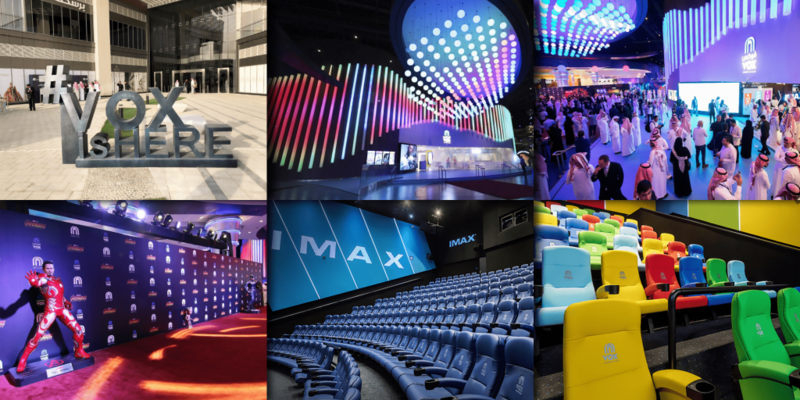 Saudi Arabia saw the opening of its second cinema – a four screen VOX Cinemas multiplex with a total seating capacity of 330. The cinema opened to the public on Friday 4th May 2018. The new cinema – located at Riyadh Park Mall– comes two weeks after the kingdom’s first public cinema screening in Saudi Arabia. Other cinemas currently under design include Majid Al Futtaim’s Mall of Saudi and City Centre Ishbiliyah – both expected to open in Riyadh in the coming years. As the exclusive cinema advertising partner of VOX Cinemas, Motivate Val Morgan congratulates VOX Cinemas on the launch of their new multiplex in Saudi Arabia and proudly welcomes VOX Cinemas – Riyadh Park Mall to our circuit. Contact your respective Account Manager for a detailed presentation on on-screen cinema advertising opportunities at VOX Cinemas – Riyadh Park Mall.